I always liked the powerful voice of Ronstadt (although not always her choice of songs), so a Dylan/Ronstadt duet would be something. 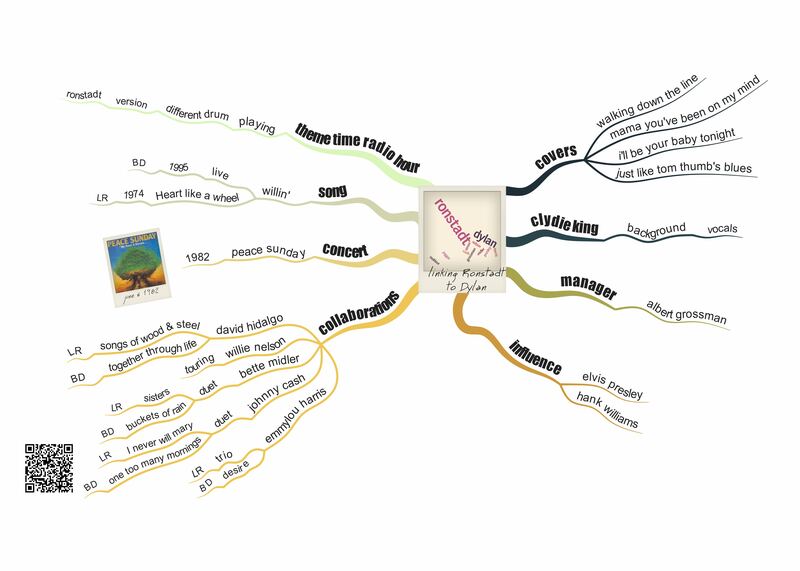 This entry was posted in mindmapping, music and tagged Bob Dylan, Linda Ronstadt. Bookmark the permalink. I always enjoy your Dylan content. I recently did some playing around with one of your maps in some photo editing apps and posted them to fliker and facebook. It occurred to me I should have asked your permission! Here is a link to one of them on FB- there are a few more in the album. Linda Ronstadt has covered Dylan’s “I”ll Be Your Baby Tonight”, “Mama (Baby) You’ve Been On My Mind” and – not forgetting her Mexican roots – “Just Like Tom Thumb’s Blues” as can be seen in the mind map. 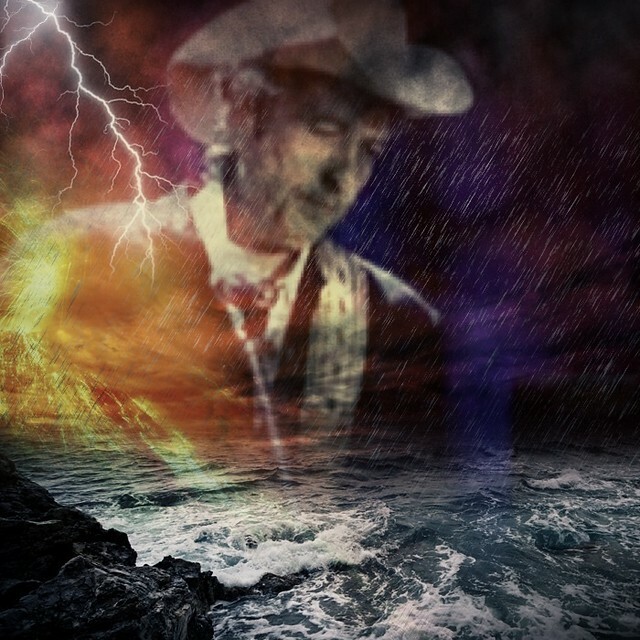 Dylan’s forthcoming album with Mexican musicians may provide a further link.